In a hurry to get to work, not enough time to walk, potty or feed your beloved pup? Dugan's daycare program is available 6:30AM to 7PM Monday through Friday, 9 AM to 6PM Saturday and 10AM to 5PM on Sunday to accommodate every parent's work schedule. From puppies to seniors, whether your canine companion is large or small, there is plenty of space at their fingertips. 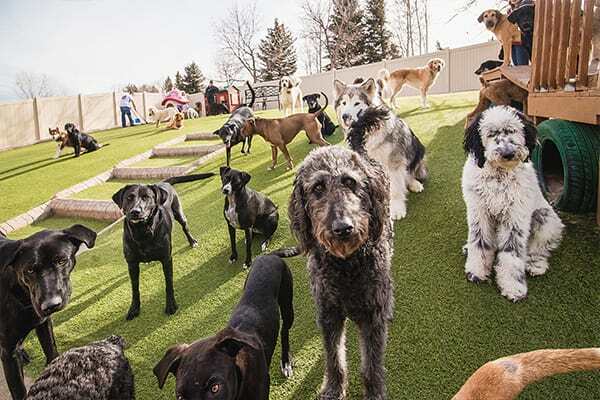 At Dugan's, your dog has frequent access to our dog friendly backyard complete with dog friendly artificial turf and lots of play equipment, as well as our expansive indoor play rooms. We are uniquely designed to give your dog ample fun and exercise, combined with the security and familiarity of being in his or her backyard! Besides the abundant free time we offer our guests for playing tag and mingling, we also provide structured group exercise every day that includes ball playing and bubble chasing. Our guests develop incredible friendships with their canine peers and create their own groups that meet and play every visit! YOUR FIRST DAY OF DOG DAYCARE FREE! With unrestricted check-in and check-out times during lobby hours, dropping off your dog is quick and easy! We even have a wonderful complimentary coffee bar for our parents! We conveniently provide curbside service in front of our lobby. Simply notify our staff if your pup needs breakfast, lunch or dinner served that day or whether you would like them to have spa services and we will take care of it! 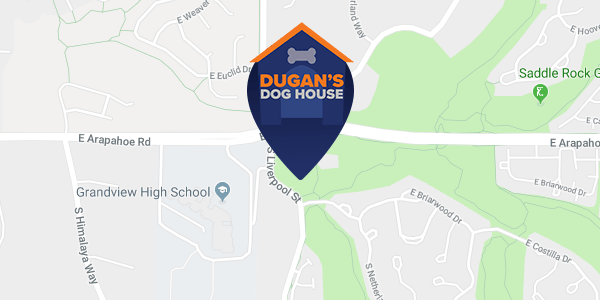 Most of our regular Dog Daycare clients keep food at Dugan's so we can provide their pets with a feeding schedule that their pup is accustomed to at home. You can be sure that after every meal, your dog has ample time to digest food before play begins. Why Dugan's Dog House? 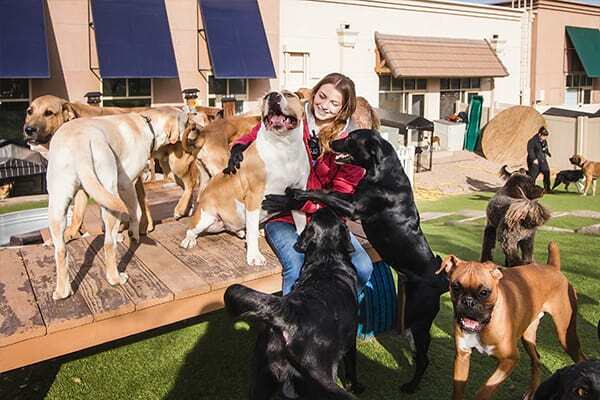 We develop relationships with our guests that transcends beyond the basic care provided at traditional doggie daycares. Dugan's staff is perceptive, focused, and caring. The exceptional care that we extend to our daycare friends is unmatched because at Dugan's Dog House, we care for your dog like we do our own!